Media coverage of JAMM online and in print. February 10, 2015: Midori pays JAMM a visit before performing a Juneau Jazz and Classics concert that same evening. 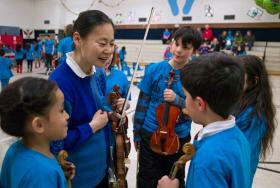 April 18, 2014: Glacier Valley kids pack the house for a JAMM strings concert. 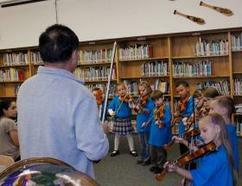 Over 130 students performed in Grades 1 thru 4. CCTV spent over a week in Juneau filming JAMM for an Americas Now news magazine story. CCTV has an audience of 1.2 billion viewers worldwide. 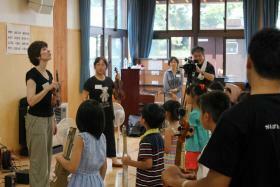 September 16, 2012: Lorrie Heagy travels to Fukishima, Japan, to help a community heal through music. 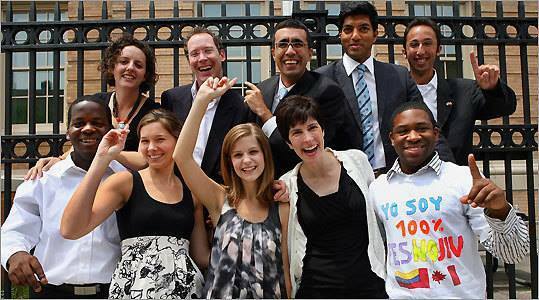 September 4, 2011: Special guests from New York City and Los Angeles visit JAMM as the program doubles in size at Glacier Valley. 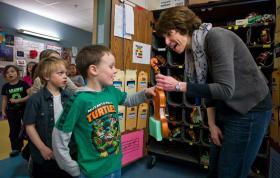 November 15, 2010: The Association of Alaska School Boards selected Lorrie Heagy, a music teacher and librarian at Glacier Valley Elementary School, to be Alaska Teacher of the Year 2011. March 18, 2015: JAMM and the Juneau Symphony (JS) partner with the University of Alaska Southeast to sponsor a string-quartet-in-residence. . 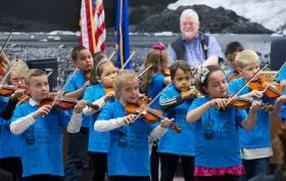 These musicians will perform in the Juneau symphony and teach at JAMM schools while pursuing their Masters of Arts in Teaching degree. 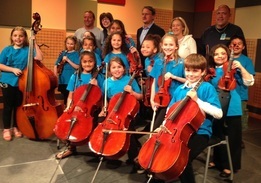 December 4, 2014: Juneau music program gets international audience as PBS Power of Music professional development video series is released. 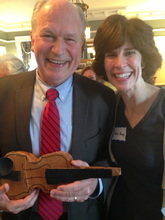 May 21, 2014: Tony Woodcock, President of New England Conservatory presented at a Juneau World Affairs Council event and shared JAMM's role in the global music education movement . 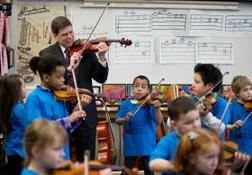 November 12, 2012: Professional development series to focus on music education. Producer Jill Peters works with local crew to film JAMM as part of the series. 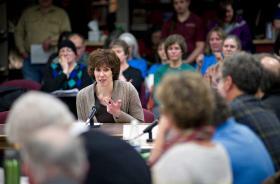 February 12, 2012: Music education program's future uncertain with looming Juneau School District cuts. 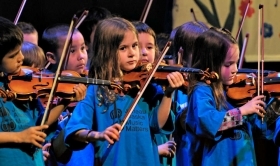 April 18, 2011: Glacier Valley's JAMM kindergartners perform at the 37th Alaska Folk Festival at Centennial Hall. 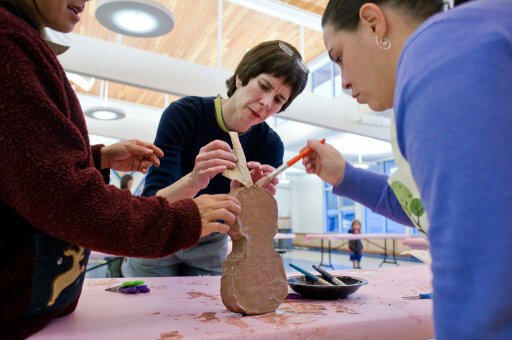 Glacier Valley kindergarteners tore pieces of tape off a roll and connected a cardboard strip to a cutout of a violin with the help of a parent. 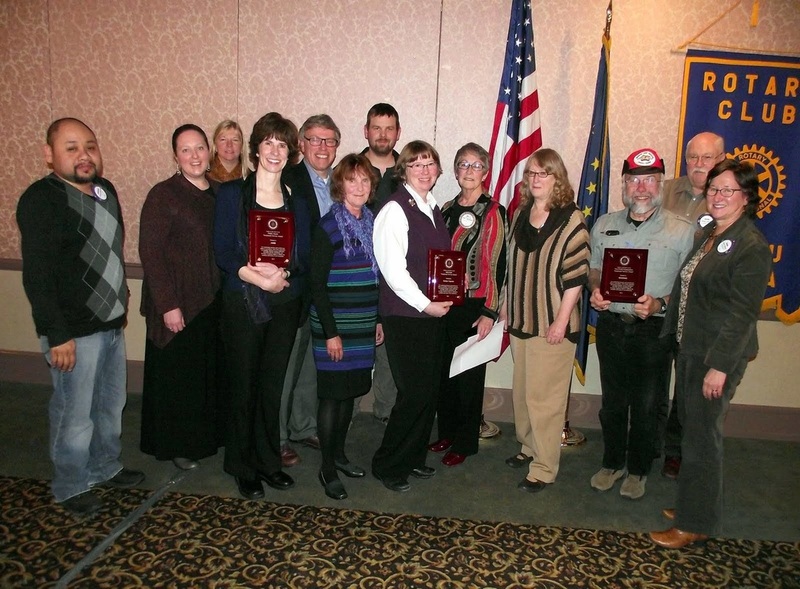 JAMM received the Vocational Service Award for outstanding businesses, programs and individuals in the category of Public Sector from the Rotary Club of Juneau. 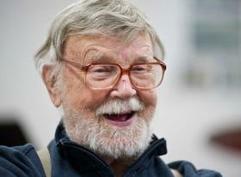 October 20, 2014: Ron Maas celebrates his 87th birthday by donating $100K to local groups, including JAMM. 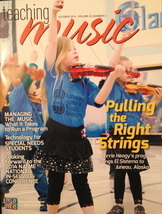 October 2014: JAMM was the cover story in Teaching Music Magazine, which is published through the National Association for Music Education. October 9, 2012: JAMM performs for a city assembly meeting, including Happy Birthday for Mayor Botelho. 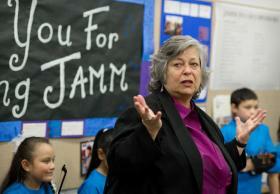 March 6, 2012: Senator Begich visits JAMM to promote STEAM as an alternative to NCLB in Alaska. 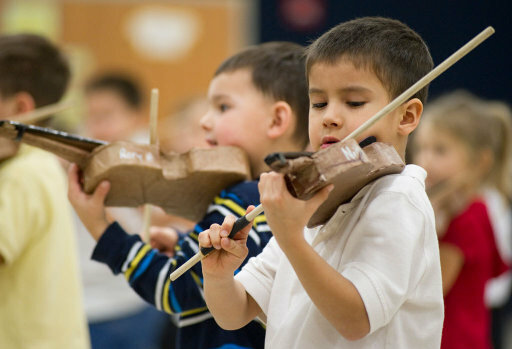 November 14, 2010: Glacier Valley kindergartners assembled in the gym eager to play their paper violins for parents, students and community. 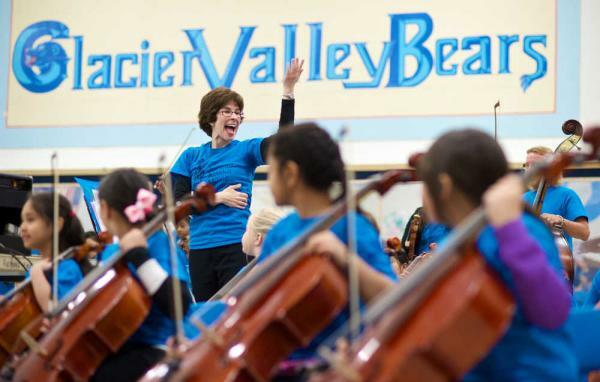 July 19, 2010: Glacier Valley Elementary School music teacher and librarian Lorrie Heagy left Juneau last fall to study innovative music teaching techniques in Boston, Venezuela and Scotland.